Amsterdam, 9 November 2018 – In order to make hard plastic products, firming substances such as Bisphenol A (BPA) are used. To make plastic soft and pliable, on the other hand, plasticizers such as phthalates are used. Both groups of chemicals are suspected to disrupt our endocrine system. Everyone, young and old, is constantly exposed to these chemicals and not just because of plastic products. Exposure to endocrine disruptors is associated with approximately eighty diseases, including testicular cancer, obesity and reproductive disorders. One more study can be added to the series of studies that highlight the harmfulness of these substances. Swedish and American researchers have examined urine of pregnant women for the presence of phthalates. The results were related to the vocabulary of their children when they were 30 months old. A vocabulary of less than 50 words was considered a delay in language development. On both sides of the Atlantic a significant association was found between the presence of two specific phthalates and language deficiency. CNN reported on this research. The fact that especially pregnant women are at risk, is known for much longer. The National Institute for Public Health and the Environment (RIVM) in the Netherlands concluded in a report that the exposure standards for BPA should be strengthened. Exposure to BPA should be brought down, particularly for pregnant women and young children. 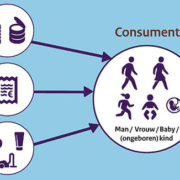 Instead of tougher legislation, in March 2016 the then Minister of Public Health Edith Schippers (VVD) made with the commitment to the House of Parliament that the information given to pregnant women and young mothers who are breastfeeding would be extended. This was to be done in collaboration with RIVM, the Nutrition Centre and VeiligheidNL. The Swedish and American researchers also make some recommendations to avoid risks: “Buy less processed meat, use alternatives to plastic when possible, and avoid microwaving food or beverages in plastic when possible”. The results of their study emphasise the importance of information. Has the public information indeed improved in the Netherlands after the commitment made by the Minister? Pregnant women need to make do with this information. A number of questions over the telephone teach us that Child health care centres provide no specific information about avoiding exposure to BPA or phthalates. Denmark shows us that better information can be provided. How things are handled there, is summarized in a Wemos report. In 2016, Minister of Public Health Schippers chose for better information instead of stricter legislation. The conclusion can be no other than that this information did not get off the ground. It is all the more important that the recommendations in the National Plan Endocrine Disruptors in a Circular Economy. This plan, drawn up by Wemos and supported by, among others, the Plastic Soup Foundation and Stichting Tegengif was presented to Dutch Parliament September last. Also read: Hospitals must become BPA-free.